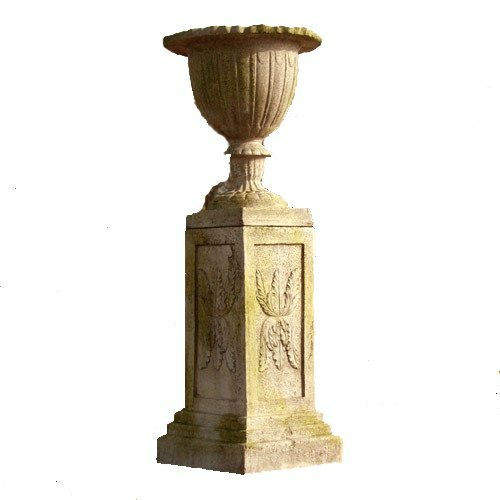 Orlandi Botanico Urn With Julian Pedestal - Fiber Stone Planter & Plinth Garden Statues by at Tulips Orchids. MPN: FS7785 & FS35035. Hurry! Limited time offer. Offer valid only while supplies last.